Fashion Maven... Mommy: IT Cosmetics Bundle GIVEAWAY! OPEN INTERNATIONALLY! 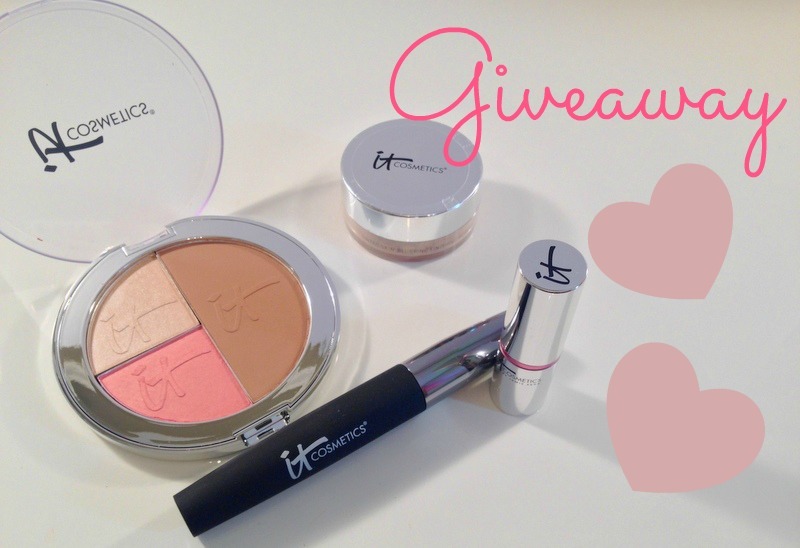 IT Cosmetics Bundle GIVEAWAY! OPEN INTERNATIONALLY! One lucky FMM reader will win one Live Love Laugh Vitality Face Disk, One Bye Bye Pores Tinted, One Hello Lashes Mascara and one Vitality Lip Flush. Please be sure to use the Rafflecopter widget to enter. This giveaway is OPEN INTERNATIONALLY. All entries will be verified so be sure to enter all the required entries. There are bonus entries as well for extra chances to win. Winner will be contacted via email. Winner has 24 hours to respond or new winner will be selected. Winner will be displayed on the Rafflecopter widget. Thank you so much for entering and GOOD LUCK! Woo hoo! Thanks to you and IT Cosmetics for the opportunity. You do excellent reviews and tutorials with their products.